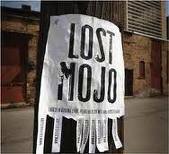 Hello Mojo Good Riddance to June! The training mojo is back! I am glad to be done with the month of June. I was sick, my dog had surgery, has been diagnosed with cancer, I had dental surgery twice. I was getting exhausted just working my normal shifts at work.I am up a few pounds with stress and not caring. I had a good run around the block today. 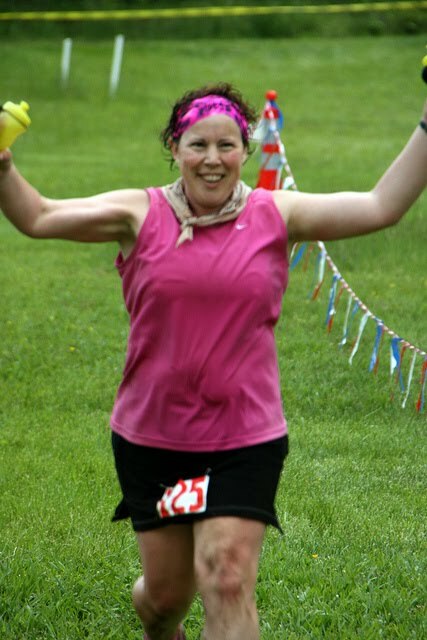 I listened to a podcast on the Barkley and was actually thinking about that race for 2012 again. I haven’t been exhausted at the end of my work shifts. It doesn’t hurt also that I am on the first day of six days off work-yeah! We are having house guests, and the dog is going to the specialty vet today, so my running schedule is staying very flexible. 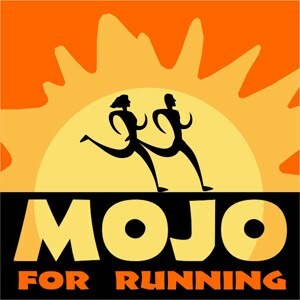 I am going to Mohican Friday afternoon to run with Rob Powell, on some blessed trails. We are meeting at the Covered Bridge at 5pm, if anyone is interested. This entry was posted in Training on June 30, 2011 by Kim. It is an Amphiphod. I used these at MMT, courtesy of Mongold, and I really like them. They curve your hand around the bottle, so you are not really holding or clenching the bottle. I liked them so much, I bought two shortly after the race and have been using them ever since. The other new thing is almond milk! No, you can’t milk an almond, and it really should be called “almond beverage” but you can use it just like a milk product. I don’t really like milk so if I buy it, it usually spoils before I finish a carton. The almond milk is tasty, and I have finished both boxes I have bought, I’ve tried two brands. 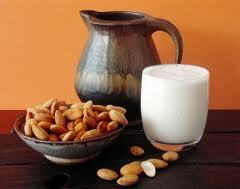 Of course, when I googled almond milk, it brought up recipes, so next round I will have to try making it myself! This entry was posted in Training on June 27, 2011 by Kim. I drove down to West Virginia to work an Aid Station for the Highlands Sky Race, June 18. Highlands Sky is a 40 mile race that runs like a 50 miler. The West Virginia Mountain Trail Runners is pleased to offer the 9th annual Highlands Sky Trail Run, the ultimate ultrarun in the Mountain State. The event is centered at Canaan Valley Resort State Park while most of the course is in the surrounding Monongahela National Forest. The course traverses Roaring Plains and Dolly Sods Wilderness through some of the most rugged and beautiful terrain in West Virginia. Dolly Sods is an area of high elevation, windswept plains ranging from 2500 to 4700 feet elevation. Trail terrain varies from woodland paths, rock and boulder, to upland bogs, through northern hardwoods at lower elevations, to Red Spruce and heath barrens above 4000 feet. Canaan is the highest large valley east of the Mississippi. The Valley creates the headwaters of the Blackwater River and has a unique environment composed of wetlands and uplands with vegetation characteristic of more northern latitudes. I had been having a stressful work week, but as I entered West Virginia for the second time, and departed south of Morgantown, I started to decompress. It didn’t hurt that I had to traverse switchbacks over two mountains until I got into the Canaan Valley area. Our Aid Station is the last one, Aid Station #8. The runners only have 4.1 miles to go to the finish. But they have also ran 36 miles to get to our Aid Station. And a good amount of runners have gone off course due to course vandalism-the trail markings have been removed. The Virginia Happy Trails Club had a good showing with Aaron Schwartzbard and Eva Pastalkova taking the wins respectively. Aaron ran by our Aid Station at 1130, looking fresh, like he had just started his run. Eva was not too far behind. When she came through our Aid Station, she was #6 overall. She stopped to congratulated ME on MMT. I believe she may have finished #5 overall. It was slow going at the Aid Station. Runners were coming through singly,then a few in groups, then more in groups. Most all seemed to have gone off course, and were gracious about it. They weren’t eating much at the last Aid Station. Most wanted ice water,Mountain Dew or Coke, and then were off to the finish line. As time wore on, we were cognizant of the time. The race ended at 6 pm. There was no cut off at our Aid Station, as we were only 4 miles from the finish. Before long, the last two runners, a couple, showed up, with our sweeps, Greg and Paula Smith. What is a sweep? In well managed trail races,the Race Director will have people out sweeping the course. They will follow the last runner, and usually pick up trail markers and trash also. It’s a safety measure, to make sure all runners are accounted for. For our Aid Station, this meant we were free to go. We quickly broke down the rest of the food and drink, and packed vehicles. Time for us to head to the finish line and get some food! It was a good day to work an Aid Station. The skies were overcast and we had a breeze. We had good humored and gracious runners. All were polite to me, Kenny, and Manon. If you are an ultra runner and have never been on the “other side of the table” I highly recommend you work an aid station. One, you give back. Two, as an ultra runner, you know what these folks are going through. Some people I handed a cup of ice water without them asking. Several I handed the icy cold sponge we had handy to squeeze over their head. We kicked several chatty runners out when they wanted to linger a bit. Another successful run put on by the West Virginia Mountain Trail Runners! P.S. I am looking for some folks to work my Aid Station for the Cheat Mountain Moonshine Madness 50 mile Run August 26! This entry was posted in Races on June 19, 2011 by Kim. The shorter block. I work the late shift today. I got up early, wasn’t feeling the love for the run. Opened up my blog reader, and saw some posts of other athletes. That gave me enough motivation to put on Sunday’s smelly running clothes and get out there. Once out, of course, typical reaction-felt good, felt fine, glad to be running! I have noticed one thing, one very special thing. I am running up hills. I am not stopping to turn it into a walk, I am just powering it up the hill-without that much effort. These are not fast runs up the hills-but they are still runs, not the walking leg turnover. Very interesting. I do feel like I am on my way to Part Two. I have still been a little exhausted after working my ten hour shifts. I believe it’s two things: 1) we are short handed at work so I am being over-worked; 2) still not at 100% recovery from MMT. So I am not pushing the training yet, hence a 4 mile run instead of the 10K. Eventually I want to turn the 10K into my normal routine run. This entry was posted in Training on June 14, 2011 by Kim. This is the hill I mentioned, in one of my first post MMT runs, that it didn’t seem so big and long anymore. I had vowed to make it a summer goal to RUN up this hill, no walking. Maybe it was the week off of running. I started running up the hill. I got to the driveway where I had turned it over to a walk last week. I ran past that.Still was able to breathe, so kept the legs in the running turnover rather than switching to the “walking mode”. Kept going farther. The hill flattens in the middle for a few feet, as I continued running it. I glanced up. Not that far to go. Screw it, I’m going to run the whole thing today. The last 20 feet turn into a steeper grade. But I knew I was almost at the top. Then, I was! I did it!!!!!!!! My dogs (the ones that live at the top of the hill) didn’t even come out to congratulate me. Well, that was a summer goal. Now what? Now I need to time myself on this hill, and get a benchmark. So as I lose some more weight, I can get a bit faster on this RUN up the hill. This entry was posted in Training on June 12, 2011 by Kim. It’s time to start planning out Part Two. Although I am a big proponent of seeking out and finding new races to do, my next few runs/races will be repeats-it’s simply that I enjoy them so much, it’s a no brainer not to return to them. First race is 12 Hours of Big Bear Lake. This will be interesting, because I want to do 8 loops, my longest mileage. I have not been running much at all. I hope to ease back into that this week, and not try to OVER DO IT. We will just have to see. 8 Loops or not, it will be a good day of getting back to a “long” run. The Ring-I have to repeat The Ring again. I now know exactly what I am getting into! This would give me July and August (after Big Bear Lake) to ramp up some hill climbing and heat training. Fall “A” Race is the WV Trilogy. I dropped from the 50 mile race in anticipation of not making the cut off. This year, with my weight loss, better education on how to eat for an ultra, and knowledge about what I am getting myself into-I can finish the 50 mile in the time limit. There will also be other races too-YUTC, perhaps the Groundhog 50K, The Big Schloss, Slim Pickins, in the fall. So many to choose from, who knows which I will be able to attend. The family life is the big IF right now. My dog is recovering from surgery, and has to be watched 24/7. I doubt I will be getting away for any out of town runs for quite a while-in fact, who knows if I will be able to attend Big Bear Lake 12 Hour Race in July. So any plans and training has to revolve around the family right now. This entry was posted in Races on June 12, 2011 by Kim. I finally weighed myself this week, and was relieved to see I am at 166.5 lbs, which is 6 lbs up pre-MMT, which was my lowest weight. Relief in that it wasn’t more. Between the dog being sick, and ME being sick, I really wasn’t measuring food, or really caring. I had some ‘pity me’ indulgences (like most of a bag of potato chips last night, so my weight might actually be lower due to all that salt). I still struggle with the typical female body image. Take this picture for example. I am FINISHING the hardest 100 mile race east of the Mississipi. It’s a great picture. I like it. Why do we do that to ourselves? Why can’t we just celebrate how strong those arms were, pumping to walk down those dirt roads quicker, holding 1 lb water bottles in each hand for 32 hours? Since I decided I wasn’t going to indulge myself with food, my latest indulgence is retail therapy-or I should say on-line shopping retail therapy. Other than one trip up north for Lloyd’s birthday party, I have not ventured more than 25 miles from home. In this 25 mile radius, there is limited shopping. In other words, our biggest stores are a Walmart, Kmart,various dollar stores and a few other local grocery stores. I have been wanting to go clothes shopping, but with the dog surgery right after my epic work week from hell, it’s not happened. So when the twill shorts I bought on-line arrived, I tried on, and immediately bought two more pairs. Who knows when I will get to a store. I have plenty of sports shorts, but no ‘non-sport’ shorts. REI-Outlet also had a 20% coupon, and I got a pair of rain pants, a jacket, and I did splurge for a new rain jacket with a fabric called eVent. It’s supposed to be very breathable. Note these are future adventures. I hope to be getting some good training in over the winter this year for future events to come. Having the right gear can make you far less miserable out there. I spent the day doing some yard work and gardening. The dog had her wound debrided. It looks both better and worse now. We are playing tag team with keeping an eye on her. Right now, I am on dog-sitting duties while the husband gets some work done in his office. When I was outside working, he was keeping her company. She is doing well, she’s in very good spirits. She just has some horrific open wounds. The other two dogs are being so good. We’re also trying to show enough attention to them too. Hopefully the dog will continue to improve and we’ll get adjusted to all this. Just a stressful time right now. I plan on going for a run in the morning. My swollen lymph node has subsided. 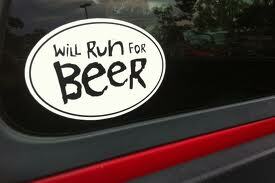 I am only planning on a 4 mile run, at an easy pace, and just ease back into training. I got a bit scared last week, with how sick I got practically overnight, I don’t want a repeat of that! This entry was posted in Weight loss on June 10, 2011 by Kim.